Dan and Sally give their thoughts after testing the lens for portraits, landscapes, video and more. They call it an overall amazing lens for video and a great choice for wedding photographers or anyone shooting in low light. Chris Niccolls notes the beautiful bokeh and dramatic capture of sun stars after testing out the lens. He was impressed by the close-focusing capabilities and low light performance. Jason shares his first hands-on impression of the new 24mm G Master lens after testing its performance. Describing its bokeh, he calls it “as dreamy as his dreams” and says he will definitely be placing his order for this lens come October. In a video for Adorama TV, Dave Krugman, who had the opportunity to test the new 24mm f/1.4 G Master before the press got their hands on it, takes us along as he shoots with the lens in the rain through the streets of New York. Krugman shows why the lens is going to be a part of his kit for street photography. "This is a really powerful lens for street photography because you can get really close to your subjects without losing the context of the background." "Not only is this lens super bright and sharp, one of the things I love most about it how compact and lightweight it is." Manny Ortiz takes the new 24mm G Master and puts it through its paces in this hands-on review complete with photo and video samples. He highlights the autofocus and size of this lens compared to others as features that make it his preferred choice. If you want the best performance possible, he says this is the lens for you. Ted Forbes shares test footage and photos from his time with the new lens. Uniquely designed both optically and mechanically, he calls this lens amazing and is excited to work with it more in the future. After testing this new lens on the α7R III, Steve Huff concludes that if you're looking for a fast, wider-angle lens that focuses close, has a shallow depth of field and gives you the best quality Sony has to offer, this is the one you want. "It is, as advertised by Sony, sharp at all apertures, sharp in the corners. 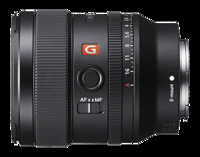 The color is fantastic – it's up to G Master standards because this is a G Master lens. It's very balanced on the α7R III and will be so on the α9 or any model α7. For video the focus was lightning quick." Max was blown away by just how light and compact this G Master lens was. He was especially impressed by its performance on wide angle shots with low depth of field. "If you're a Sony shooter looking for something wide and fast, this is going to be a good option."